This lotion protect baby skin from the sun and keeps your baby soft and gives you best result always. Sebamed sun lotion maintaining the pH level of the skin when exposed to the sun is vital. 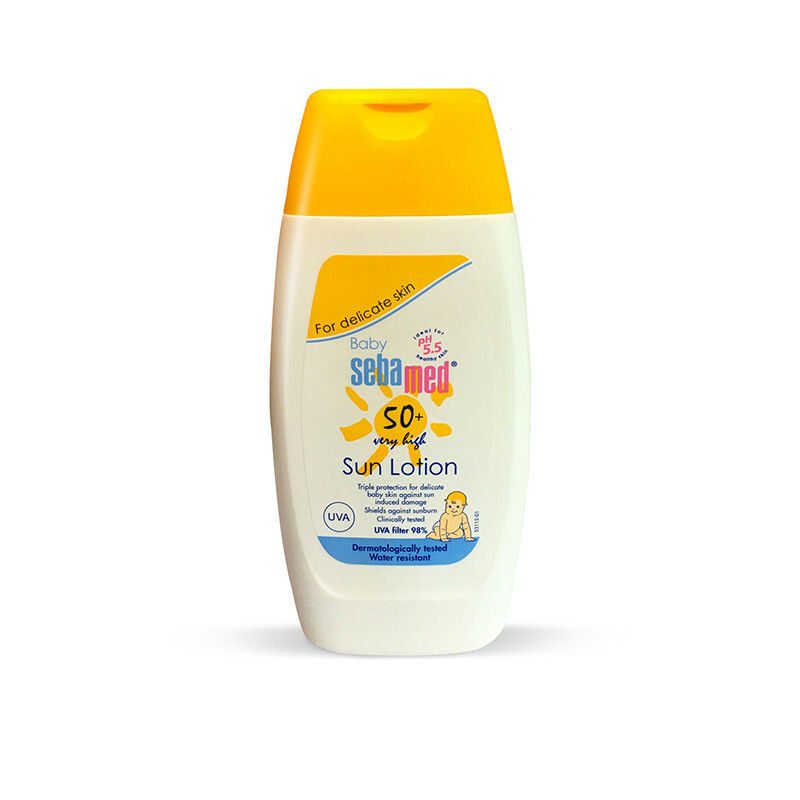 More so, for a baby.This Sun Baby Lotion is infused with the right amount of pH level – 5.5 that gives your child the necessary protection from the sun’s harmful UVA and UVB rays. Moreover, an emollient derived from plant oil ensures that your baby's skin doesn't get dehydrated. So bid good bye to skin cracking, sun burns and say yes to skin protection.Non-greasy formula penetrates smoothly for long-lasting moisture and protection against dry baby skin and this formula absorbs quickly and is gentle enough for infants and babies with sensitive skin.This lotion protect baby skin and keeps baby skin smooth and safe.